Fortunately, there’s also a more practical use for these overpriced notebooks. Let me introduce you to bullet journaling. 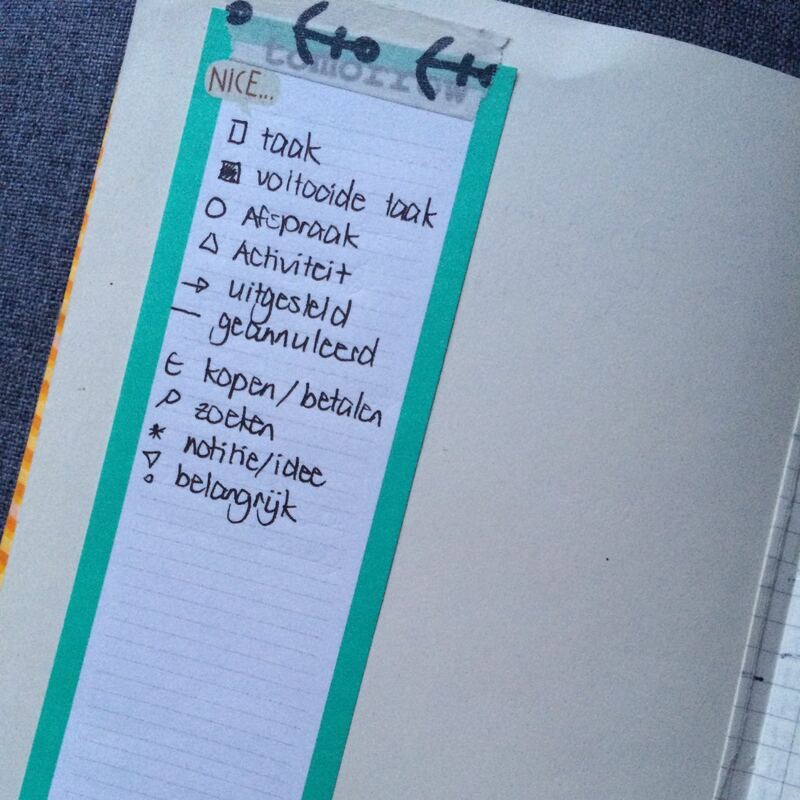 Bullet Journaling is a calendar meets to-do-list meets journal on paper. In a earlier post, I wrote about why writing has advantages over typing and bullet journaling makes use of this theory. What you need to do is write everything down that comes up in your head. Everything. Wait. Let me say that again. Ev-e-ry-thing. You mark your notes with a key, that helps you identify what you need to with is particular note. 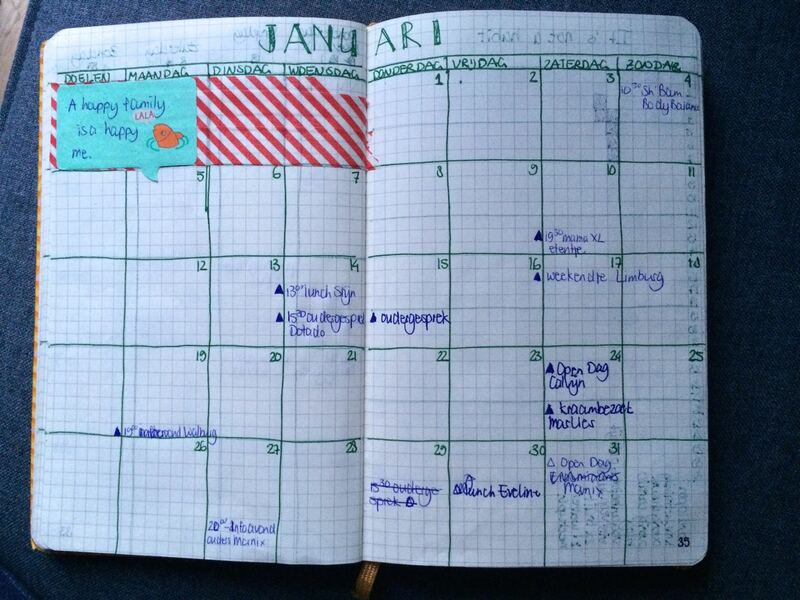 Every month, you’ll use one page for writing to down appointments and activities. You’ll use another page to jot down your task for that month. Tasks that are incomplete by the end of the month get transferred to the top of next month to do list. Every day, you’ll start with an entry, copying that day’s appointments and activities from your monthly calendar and the tasks you plan to do from you to-do list. Wait. I’ll be doing double work. i did that already, didn’t I? Yes, but’s that the point. Writing triggers the memory, so I won’t forget my appointment or the things I need to do. And double fun: when a task has been completed, you get to check the box twice! Just as with all things, it’s a habit that needs building. I find that keeping a separate calendar for work and family stuff doesn’t work. I should keep one journal for everything. I just don’t want to. Although I have a fulltime job, I like to keep work and home to separate things. But that a completely different story. So bullet journaling and me, we still need to get to know each other. But my note books and me, that love baby. Want more? You can follow my love for Moleskine, bullet journaling and all things note book on my Pinterest board. Day 13 of writing 101: write about finding something. Today’s twist: if you wrote day four’s post as the first in a series, use this one as the second installment — loosely defined. I took the prompt on finding a new use for my Moleskine. It’s a second post regarding the lost art of analog note taking. Love this post. I buy a purple Moleskine agenda every year (I love them!) but have now evolved with Evernote to which I now can’t live without. But my real love will always be paper! Cheers! I switched to Evernote too, but now found a way to use them both! My Moleskines used to be black, this year I switched to a yellow one. 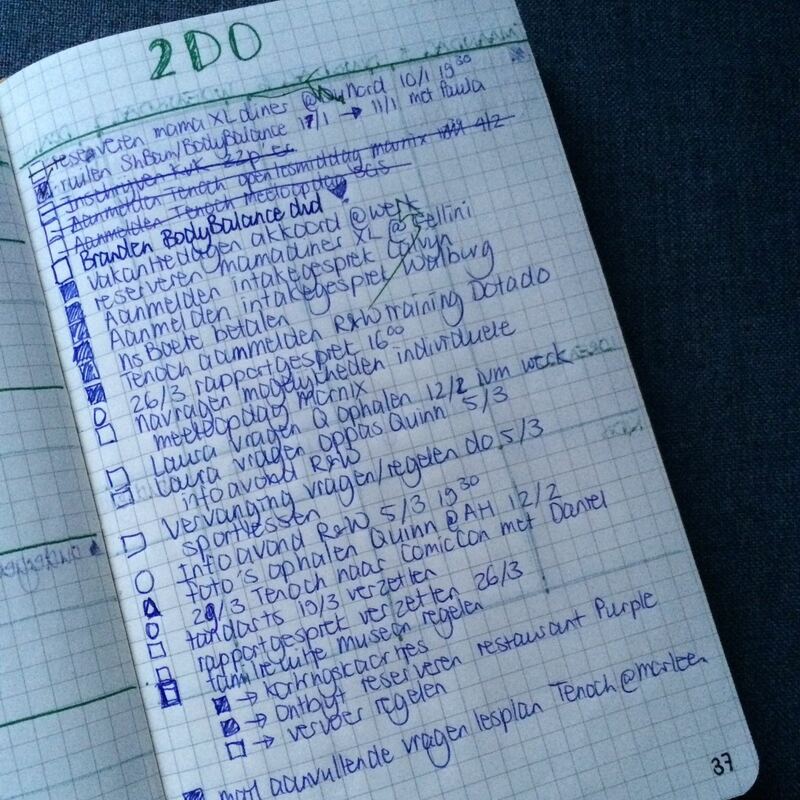 🙂 Evernote + GTD method and Moleskine? I will need to email you for more info! 😉 Cheers. Interesting – thinking about how to incorporate this into Evernote. Thanks for sharing! I like your post on the paperless office too, looking forward to your third post in this serie! I love this. I’ve been thinking about creating my own diary, and this looks like a great place to start!